I read this book in under a week and enjoyed it very much. I love dark novels and this is definitely one I recommend. It's about a young girl who marries a man only to discover he isn't who she thinks he is. The beginning of the book was a little slow. This didn't last long though because everything about the style of writing and dialogue kept me wanting to read on. There were a few unexpected twists throughout the novel which left me feeling shocked and intrigued. Another reason why I loved this book is because the narrator is a relatable character. I felt I could personally connect on some levels with her and this made the book more intriguing. My only criticism is that the ending confused me a little but that could be because I finished it late at night! 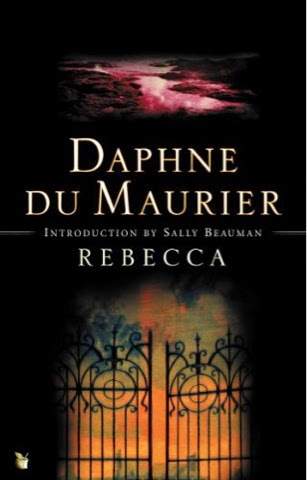 I highly recommend this book if you enjoy dark and mysterious novels. Follow me on good reads to keep up with what I'm reading! Whoa, when I first saw the cover, I thought it definitely looked really dark! And of course, the plot had to be pretty dark to match ^^ I am glad you enjoyed it! I am not sure about picking it up because I don't think this is my kind of book and I'm terrible at bad at slow beginnings!